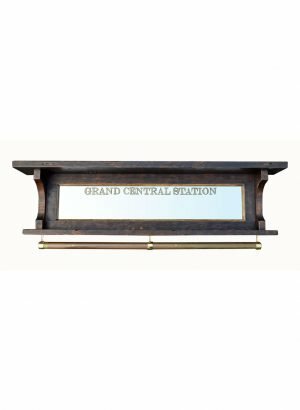 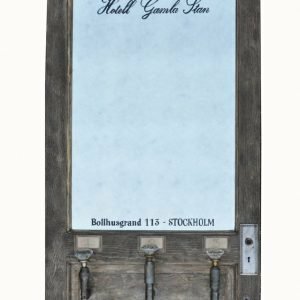 This unique Grand Central Station coat rack with rail is made from reclaimed barn wood, antiqued mirror, and salvaged brass rail. 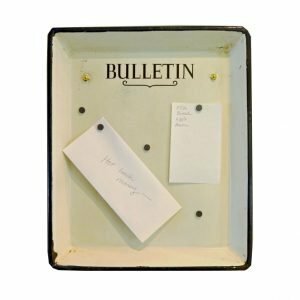 Add character to your entryway with this functional piece! 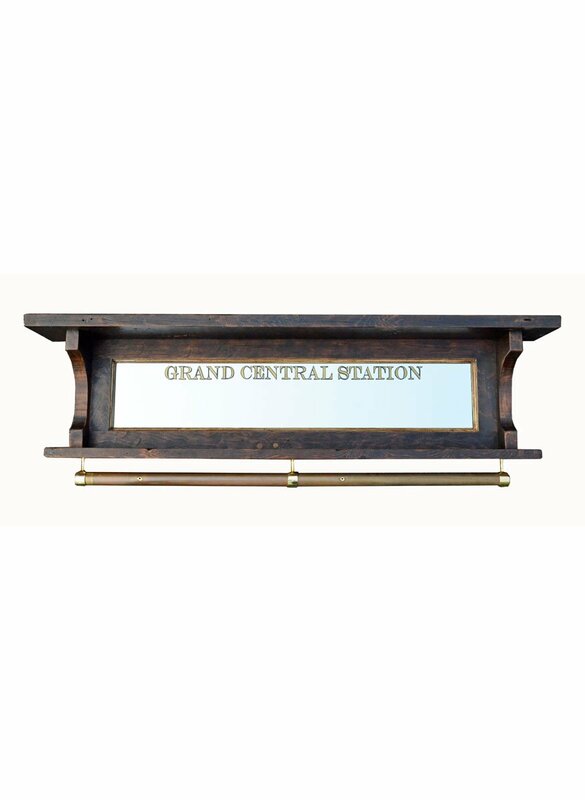 This Grand Central Station coat rack with rail is made using a portion of an old buffet mirror frame. 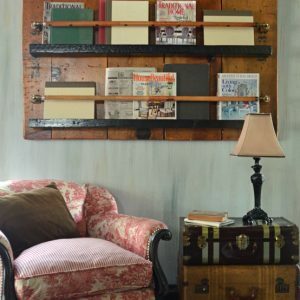 Antiqued mirror and salvaged brass rail add character and style – add this functional piece to your home! 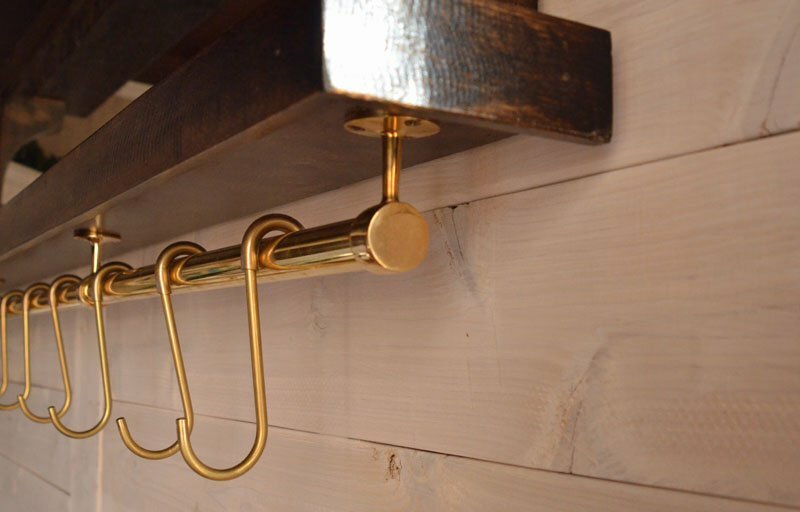 10 brass S-hooks hang along the rail for coats, bags, etc. 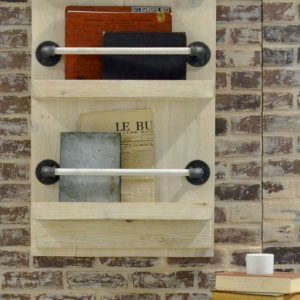 This coat rack can ship via ground, but incurs a large package surcharge. Rail will also be removed (all hardware included), and will need to be reattached upon receipt. 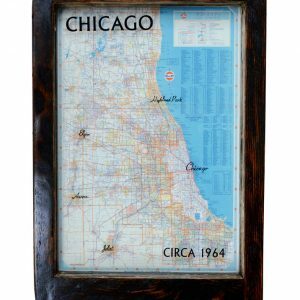 Local Chicago area delivery and hanging are included with this purchase.